Crescent Row feels like a very old street. It is, but not in the way you might think. I first stumbled upon it looking for a short-cut while heading north of the city on Goswell Road and needing to get to Old Street. The traffic lights are tedious on foot or bike, so I took a tempting-looking left turn down Baltic Street West and then the first left. I appeared to have entered a time-warp. 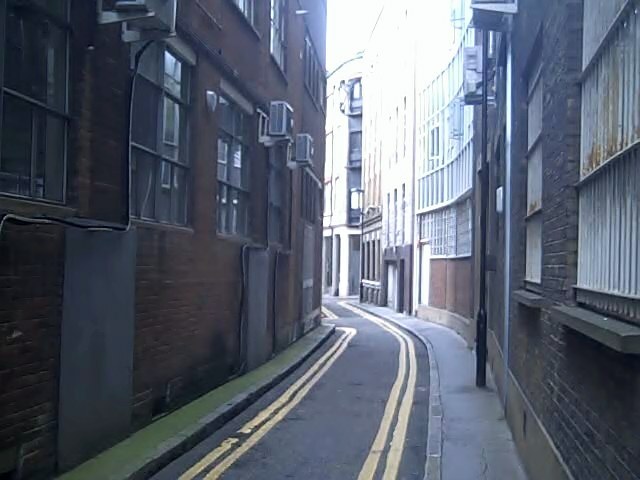 Unusually for this area, which is laid out in an orderly grid fashion, I found Crescent Row to be very narrow – only just wide enough for a car – and curved north-east to Domingo Street, where I was able to turn left and join Old Street having skipped the lights. 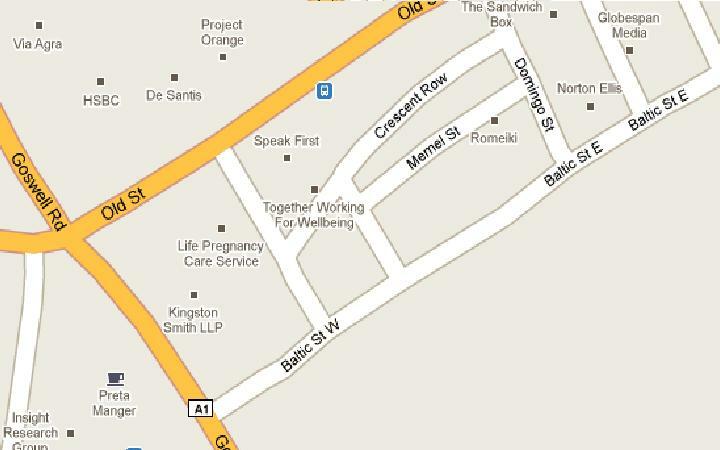 So why is Crescent Row here, and what is its story? The road is, in fact, of great antiquity. as a kind of medieval bypass road. 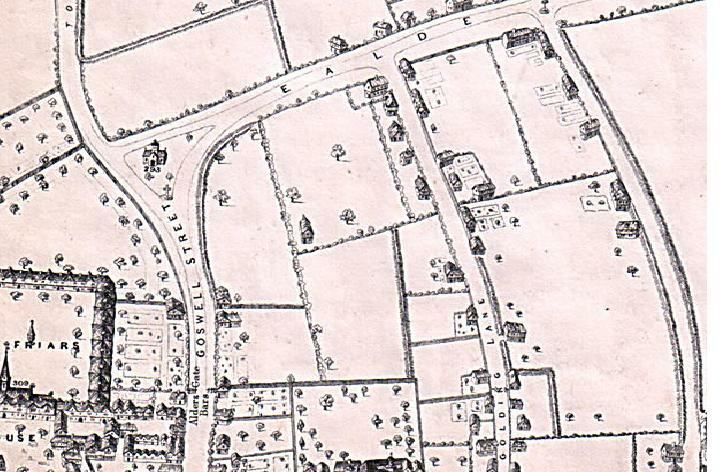 It looks like it was the third side of a triangle which surrounded a church at this, what would have been a busy junction to the north-eastern edge of the City. Here you can see it clearly as a curving short-cut for those doing in the 1520s what I did the other day. I think the church may be St Thomas Charterhouse but can’t be sure – any clues? And here in Georgian times, with the curve now being called Rotten Row, with the area becoming more built up as London expands. There are plenty of Rotten Rows in Britain, sharing the name of the famous horse-track in Hyde Park. There are several different suggestions for why a road should be called rotten – it may be due to a rat infestation, a corruption of ratten (to muster) or a description of a roundabout way, which may apply here. Here’s Crescent Row today, a bit truncated but still in existence. 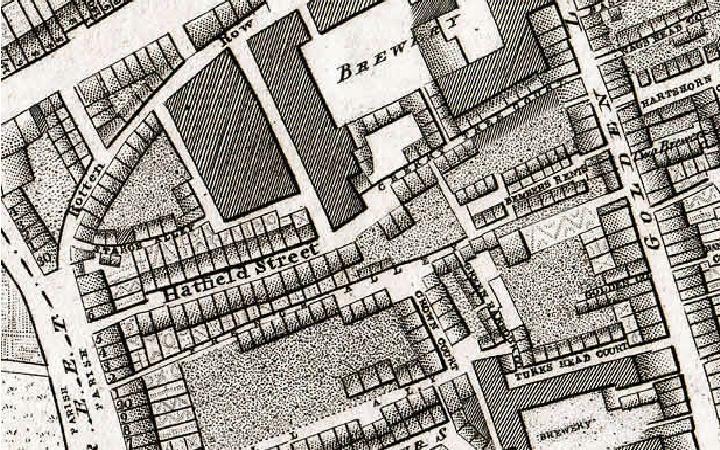 The name first starts appearing in the nineteenth century, around the same time Old Street appears to stretch east of Golden Lane to the junction with Goswell Road. On some maps this straight section north of the curve is also called Rotten Row. So some clues come up about this street, which once would have carried people, horses, carts and all kinds of produce in and out of the City. But some things are not known: what’s the church? Where did it go? Why did this street survive centuries of development when others didn’t? London is full of interest, even small, innocuous streets, and endlessly rewards the wanderer. 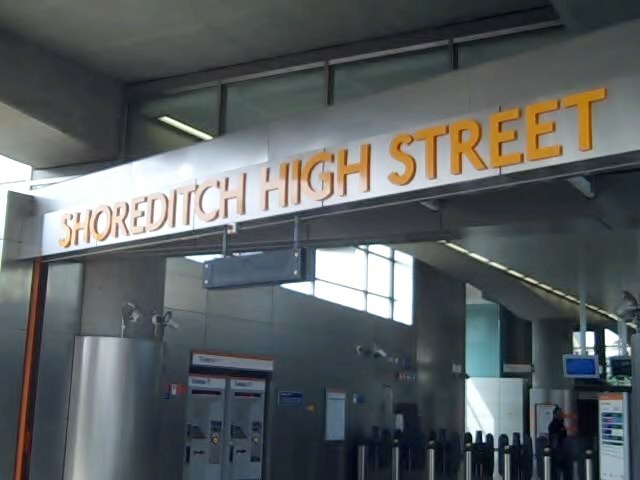 A journey on the new East London Line/London Overground, with suggestions for things to see and do along the route. 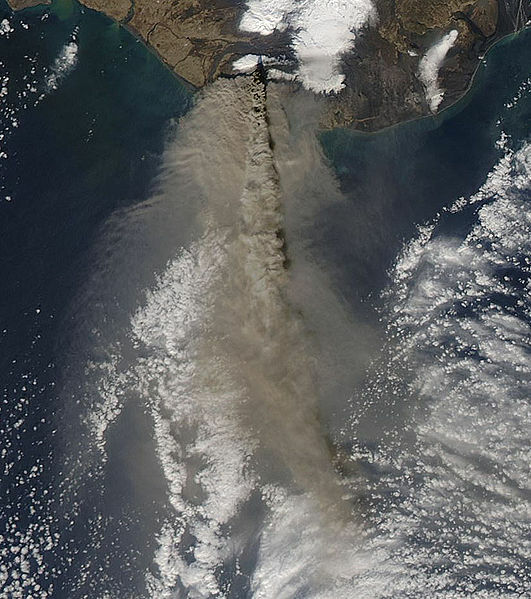 Now the dust has happily settled here are a few ways in which the Eyjafjallajökul eruption can result in an improvement to the way we travel. EC Regulation No 261/2004 was conceived with the best possible will, but it doesn’t work. Airlines hate it as it can force them to pay out for circumstances beyond their control. It’s also not designed for week-long delays, which are unprecedented. But airlines are transporting passengers from a to b and if they can’t get there then those passengers are vulnerable and should be looked after. Passengers have found the compensation set-up too hard to understand and it can be tough to get an airline to pay out. Ryanair’s ‘what you going to do about it?’ challenge summed up who airlines feel they can wriggle out of making payments. They had to backtrack somewhat – though not totally – but the broader point is that even when a delay is just that, rather than a crisis, getting a payout is extremely difficult. This regulation needs to be redrafted and toughened so airlines cannot avoid responsibilities to passengers in trouble. Two people from the same country in the same hotel, both stuck without the means to get home, would have found themselves in a very different position depending on how they booked their trip. If you booked your trip with an agent you probably got much better treatment and home quicker. If you booked independently, you were on your own. repatriation in a crisis should not be a unique selling point, and independent travellers should not be punished for making their own arrangements. As AITO have suggested, it is time to look again at consumer legislation to protect all customers as a point of principle. The above notwithstanding, there were some very impressive performances under pressure by travel companies. Those who offered a human to speak to, a regularly-priced phone line that was open at weekends and late and who took fast action should take a bow. Included in this are insurance companies who made ex gratia payments. Hopefully travellers will remember who performed well and who let them down. 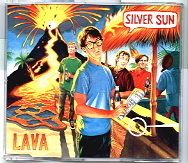 Buy travel insurance. Buy it because even the worst policy will help you out if you get injured overseas. Don’t expect too much more. You are buying a health insurance policy with a variety of irregular add-ons. Some policies are excellent, some have proved worthless. I don’t work in the insurance industry but a more standardised policy plus greater guidance on what is necessary and what is frivolous seems like a good way forward. One of the most astonishing things about last week was the avalanche of stories of people who had got themselves home by a series of inventive means. Not all of them involved shelling out thousands of pounds. Hats off to everyone who, by any means possible, made it home. This article first appeared, translated into Norwegian, in the April 2010 issue of Zine, hence any Norwegian references. This month marks the 50th anniversary of the building of Brasilia, the purpose-built city deep in the Brazilian interior. Upon completion, Rio de Janeiro was stripped of its status as the capital of Brazil and handed to the new city. 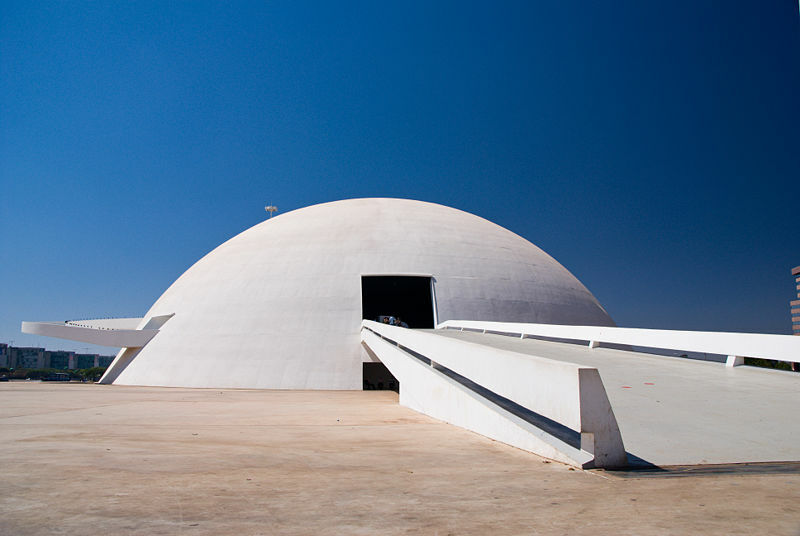 Today Brasilia has a growing reputation as a treasure-chest of post-war architecture, but while it attracts plenty of visitors the history, beaches and hard-partying reputation of Rio ensures it keeps the lion’s share of tourists. It remains the principal city, the capital in all but name. It’s a similar story in Australia where the debate about which of the two titans of what was then a British colony, Melbourne or Sydney, should be the capital of the new country. Rather than choose, a compromise saw a new city emerge from the bush between the two cities. I found Canberra one of the most fascinating places in Australia. A completely planned city based around a spectacular man-made lake, it is home to national institutions and monuments and is seen as somewhere to experiment with new architectural ideas. Elsewhere in Australia Sydney and Melbourne folk derided the place, reflecting their natural cynicism when it came to politics and bureaucracy, both of which dominate Canberra life. Yet it is the one place in Australia that I have seen a kangaroo hopping down the street and a koala in a tree. It’s quirky, fun and very different to the big cities. And there runs the debate in any country where the capital city is a curiosity rather than the place to be. It can be baffling for outsiders. Ottawa, Canada isn’t a patch on Toronto, Montreal or Vancouver. 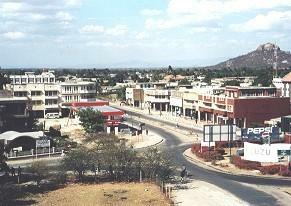 Most visitors to Tanzania go nowhere near Dodoma, the post-independence capital that took the title from the main colonial city of Dar es Salaam. Today the trend continues with the reclusive regime in Myanmar (Burma) first changing the name of the capital from Rangoon to Yangon, and then moving it hundreds of kilometres to the green-field site, which is now the fast-growing city of Naypyidaw. 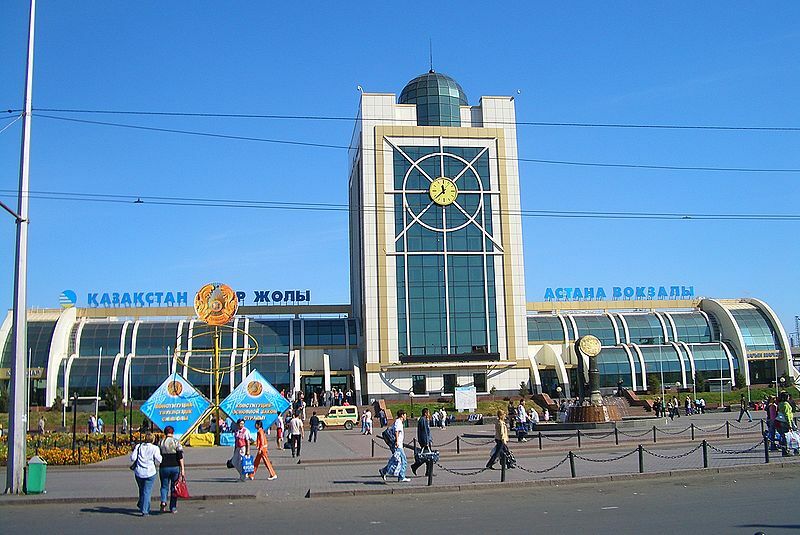 In Kazakhstan the pleasant city of Almaty has given way to the sci-fi capital of Astana. The reason for these two changes is political, but usually the idea is to make a break with the past and make something new. A new capital is an exercise in building a nation. Of course, moving a capital isn’t new. For centuries uprooting the headquarters of a country to somewhere else was a show of strength by a new ruler as well as a way of keeping an eye on friends and enemies alike. This accounts for the spectacular sights of Beijing and St Petersburg to name but two. Any purpose-built capital has a wealth of architecture from a distinct period, from the Mongol capital at Karakoram to Pakistan’s 1970s-chic Islamabad. Sometimes a planned capital can be spectacular. Washington DC stands shoulder-to-shoulder with any city on the eastern seaboard bar the undisputed capital of the world, New York. What’s Washington’s secret? Iconic buildings, a history that feels neither contrived nor less impressive than other capital contenders and lots and lots for visitors to do. I whizzed around DC on a Segway, a kind of motorized broomstick on wheels for a few days and still left frustrated I hadn’t seen more. Small capital, big appeal. So when you’re visiting somewhere with a seemingly illogical capital, you should always try and visit. You’re certain to find something you won’t find anywhere else, and usually the trappings of government and national institutions will be yours to explore. Indeed, most of the time you’ll be visiting somewhere other travellers are bypassing in favour of big-name attractions. Go and see and make up your own mind, then you can debate with sceptical locals. 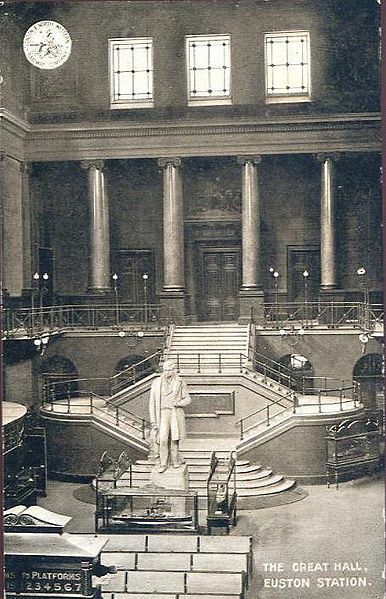 London’s first railway terminus was Euston. In fact, as Dan Cruikshank noted, it was the first railway terminus in any capital city in the world, opening in 1837 as the London gateway for the London to Birmingham Railway. Its rapid growth, and long-lost Doric Arch were emblematic of the railway age and Victorian progress. The ticket hall and waiting room, the largest in the world and later remodelled by Lutyens, were wonderful statements of the age. As London and Britain grew and thrived, so did Euston. All of which may come as a surprise to anyone who has felt the shrinking feeling of ascending the escalator into the giant, airless and seatless concourse that is Euston today. The station is one of London’s most charmless buildings and there is no less fitting starting point for Britain’s greatest train journey, the Caledonian Sleeper to Fort William. Only after escaping the low-slung depths of the platforms and emerging up the Camden Bank does this and other journeys emerge into natural light. So how did we get here? The clues are dotted around Britain. When the first railways into London were built they were forbidden to proceed, with the exception of the cut and cover (and therefore sub-surface) route to Farringdon, to stretch any further than what was then New Road, known today as Euston Road. At this thoroughfare the London to Birmingham Railway terminated, with only two platforms, opened in July 1837. Victoria had been Queen for a month. Had she popped up to Euston to see the train she would have seen trains being pulled in and out of the station using cables, which were used in lieu of locomotives until 1844, at the request of nimbyish Lord Southampton. 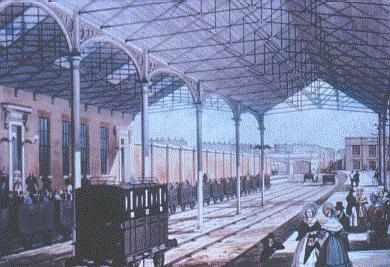 The station grew quickly as railway mania took hold, and in 1849 the Great Hall was built. Photos show a grand, classical building with sweeping staircases reminiscent of Grand Central Station, if smaller. Already in place was the Doric Arch – strictly a propylaeum – marking the entrance to the station. In those days the station was located a little further north than it is today, cut off from Euston Road by Drummond Street. The statue of George Stephenson, inventor of the Rocket (if not steam trains themselves) survives on the concourse today. So far, so jolly nice, and Euston was the first of a fine triumvirate of stations on Euston Road, joined by Kings Cross in 1852 and St Pancras in 1868. 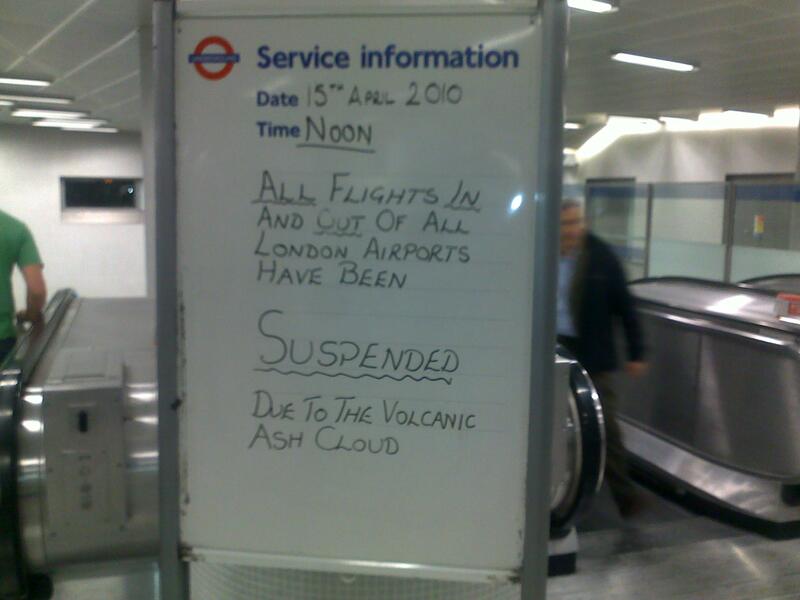 But Euston didn’t last. The station was deemed too small and too inflexible to accommodate passengers, and too old-fashioned to do very much with. Interestingly, efforts centred on saving the Euston Arch rather than the station building, which even to enthusiasts was a lost cause, too small and obsolete and not conducive to expansion. I wonder if a way might have been found today. The voices would surely have been louder.There are echoes of Penn Station in New York. After the Second World War got in the way of attempts to replace it in the 1930s, it finally fell in 1960 despite the best efforts of Sir John Betjeman and a host of other campaigners, and a group of young architects who scaled the arch and draped it with a banner demanding it be saved. 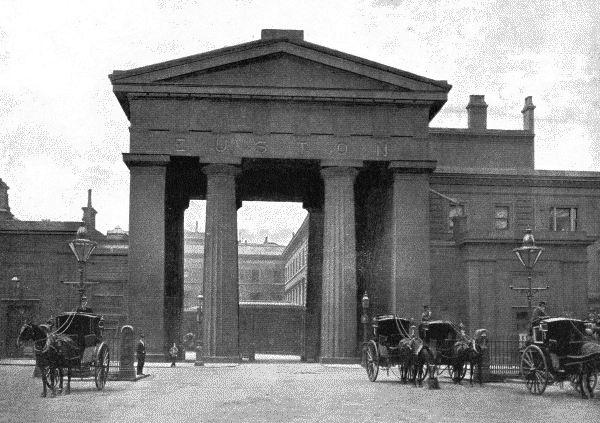 The Euston Arch Trust article (sterling work boys, by the way) notes that even the demolition company tearing down the arch piece by piece – it was in too densely populated and built up an area to blow up, or else they would have done that – offered to store it somewhere to enable later reconstruction. It was to no avail. Down the road, St Pancras was saved from the wrecking ball but Euston and its arch was the one that got away. And that, it seems, is that. No wonder Mancunians and Scousers are so snippy about London if this is their first impression. There are plans for a new station to come with the high-speed line to Birmingham and beyond, one which rights some of these wrongs and even brings back, if not the booking hall and other fine rooms, the Doric Arch, now only otherwise referenced by the station pub which sold good real ale last time I visited. Remarkably, it was in part the decision to grant east London the 2012 Olympic Games which gave the cause some hope. Once these chunks of Yorkshire stone were torn down they were, in the main, chucked into a section of canal known as Prescott Channel, a flood relief flue near Three Mills Lock at Bromley-by-Bow. Take a bike ride down there sometime. Other bits ended up in the gardens and even walls of houses of those who demolished it. The Euston Arch Trust takes up the story. Nothing remains of old Euston station building, but you can see two of the lodges at the entrance to the bus station in front of today’s Euston. A happy, geeky hour can be passed thumbing through a few books in the London Transport Museum‘s shop which has more pictures of old Euston and its demolition. Maybe a better memorial for a long-lost station is to visit some of Britain’s very fine stations that didn’t get torn to pieces as the car put the skids on our train network. Birmingham Moor Street, Newcastle and Huddersfield, as well as St Pancras, would be good places to start. In fact, that’s a recipe for an interesting tour of Britain. Stop also at York, with its very fine curving trainshed, and stroll to the National Railway Museum. Here, on your left as you enter the main hall where the Mallard and other great engines live, are the magnificent wrought iron gates which once adorned the Doric Arch itself. It’s a long way from London, but a fitting resting place for a relic of the bold start of London’s railways.